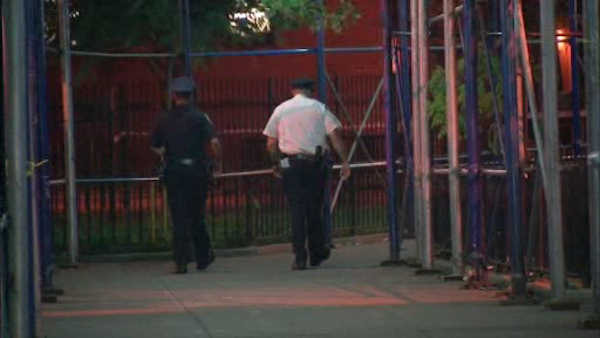 EAST VILLAGE, Manhattan (WABC) -- Police are searching for the person who opened fire on a street in the East Village early Tuesday, shooting a man in the stomach. The man, in his 20s, was shot on East 4th Street near Avenue C just after 2:30 a.m. He was taken to Bellevue Hospital in stable condition. No arrests were made and there is no immediate motive.